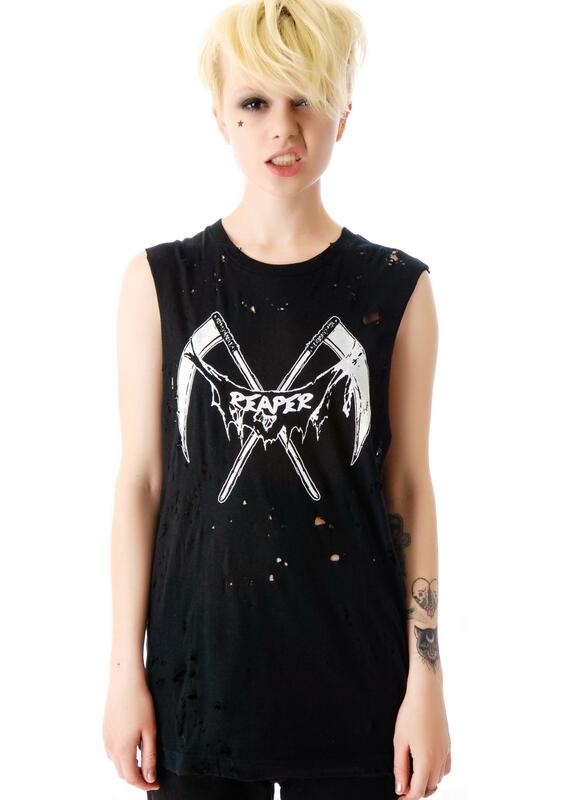 Reaper Destroyed Muscle Tank is the holy grail of thrasher tees. 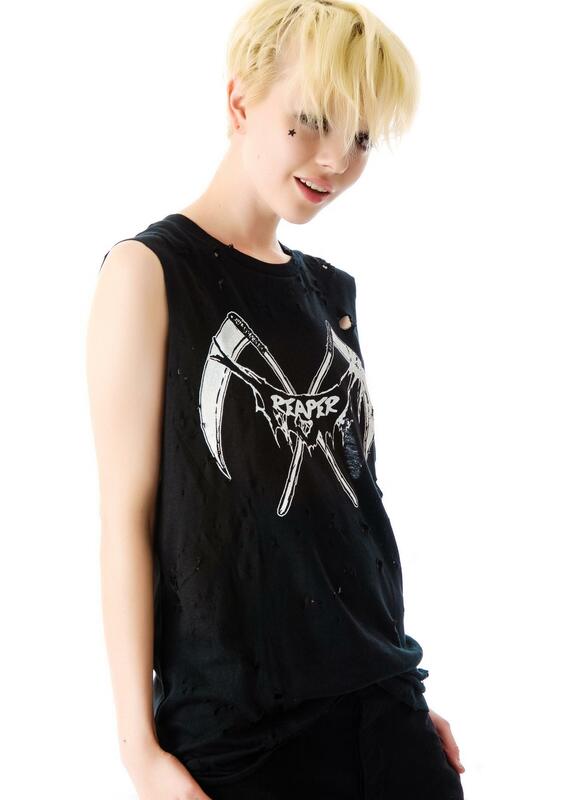 Death takes its toll on this sikk tank with crossed scythes and "Reaper" written in white lettering across the front. 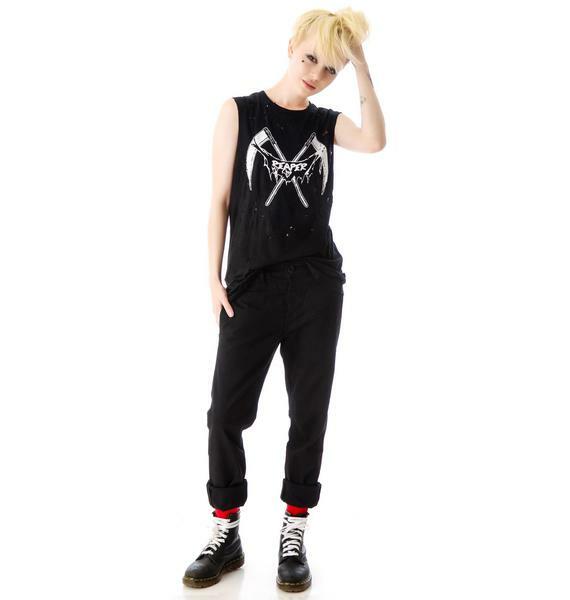 Featuring destroyed detailing on the front side, ribbed crew neckline and a relaxed fit, this tank has nice large armholes letting some serious sideboob show. 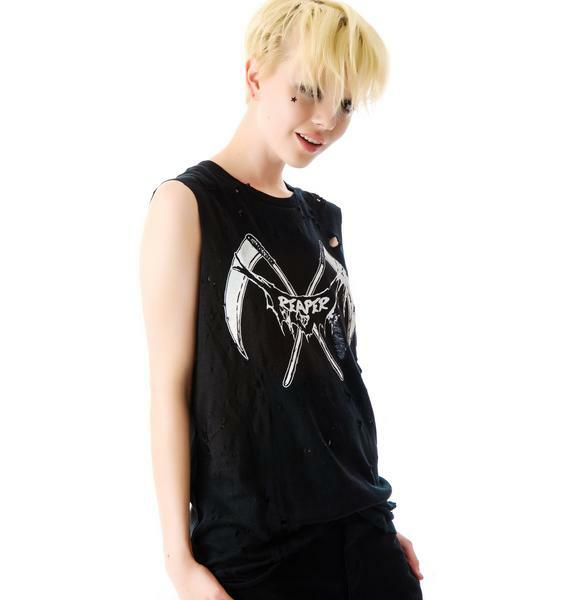 Don't fear the reaper in this badazz tank!